Tungstibite: Mineral information, data and localities. 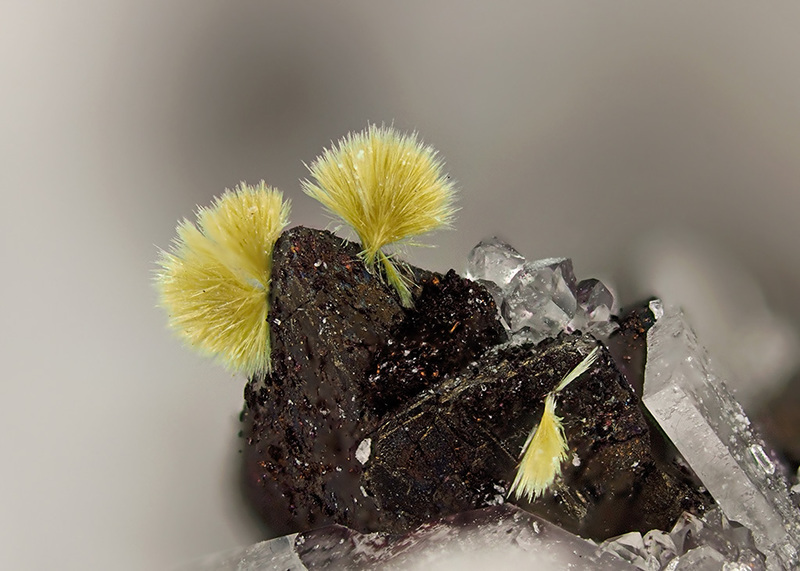 The name refers to its tungsten (tung) and antimony (Latin = stibium) (stib) content. The Sb analogue of Russellite. 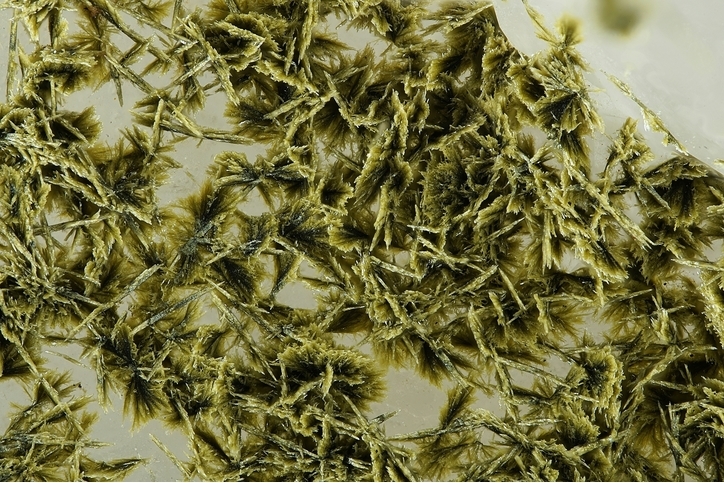 Elongated blady crystals, flattened on (001). Often aggregate into radiating spheres. Cervantite 11 photos of Tungstibite associated with Cervantite on mindat.org. Tetrahedrite 3 photos of Tungstibite associated with Tetrahedrite on mindat.org. Quartz 2 photos of Tungstibite associated with Quartz on mindat.org. Tennantite 2 photos of Tungstibite associated with Tennantite on mindat.org. Chalcopyrite 2 photos of Tungstibite associated with Chalcopyrite on mindat.org. Arsenopyrite 1 photo of Tungstibite associated with Arsenopyrite on mindat.org. 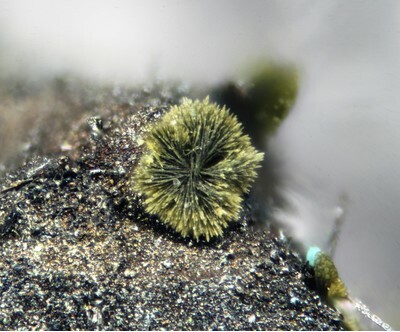 Fluorite 1 photo of Tungstibite associated with Fluorite on mindat.org. Covellite 1 photo of Tungstibite associated with Covellite on mindat.org. Silver 1 photo of Tungstibite associated with Silver on mindat.org. Walenta, K. (1995): Tungstibit, Sb2O3-WO3 - ein neues Mineral von der Grube Clara bei Oberwolfach im mittleren Schwarzwald (Deutschland). Chemie die Erde: 55: 217-224. (in German). WALENTA, K. (1995): Tungstibit, Sb2O3-WO3 - ein neues Mineral von der Grube Clara bei Oberwolfach im mittleren Schwarzwald (Deutschland). - Chem. Erde 55, 217-224.; KOLITSCH, U., GRÖBNER, J. & BAYERL, R. (1995): Die Mineralien der Silber-Antimon-Vererzungen der Grube Clara im Zeitraum 1993 bis 1995. - Erzgräber 9 (2), 61-77. Dill, H.G., Melcher, F., and Botz, R. (2008): Ore Geology Reviews 34, 242-262.